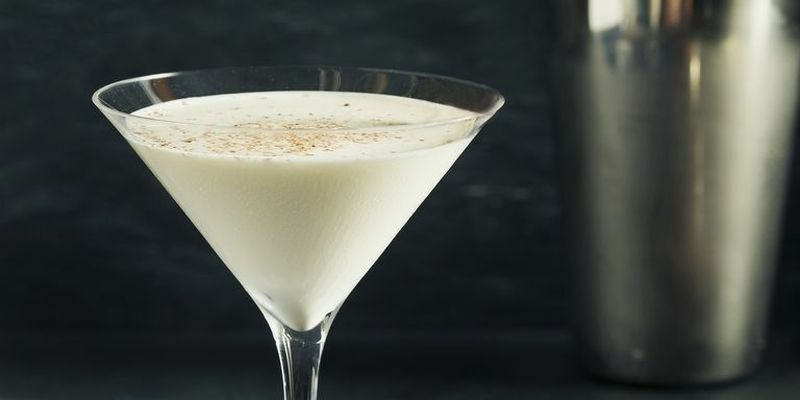 January seems to be the month for winter cocktails, it only makes sense that the Brandy Alexander is celebrated on the last day. The Brandy Alexander is an upgraded version of a previous drink simply named, “Alexander”, which employs Gin as its primary spirit. Over time, different tastes developed and the drink was based on fine aged Brandies. Depending on how authentic you want to go with it, you gotta pay attention to the Creme de Cacao. There is a big difference between cream and creme liqueurs, particularly when we talk about chocolate. Basically, you want to stay away from those heavy, creamy chocolate liqueurs. Look for authenticity and stay away from the artificial flavoring. A dessert variation of the Brandy Alexander exists and it’s basically the same but in milkshake form. All you do is add vanilla ice cream and use a blender instead of a shaker. However, if you wanted to keep a cocktail, add Kahlua liqueur for a little extra kick. 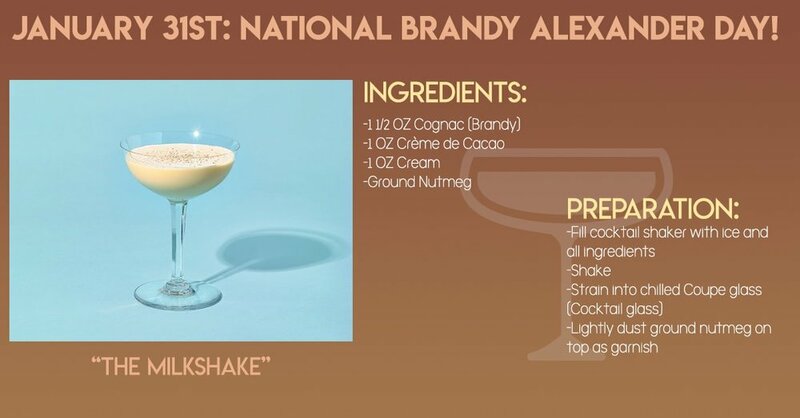 The Brandy Alexander was essentially a product of necessity. At the time of it’s migration from East to West Prohibition began, and during those times, cocktails required a mass amount of sweet ingredients to conceal poor-quality bootlegged spirits. As Prohibition era ended and people had more options, the Alexander No. 1 got rid of the gin, replaced with cognac or brandy. According to historian Barry Popkin, the first iteration of the drink was likely made by (and named after) bartender Troy Alexander, who is said to have invented it at the Rector Hotel in New York shortly after the turn of the century. The Rector closed its doors in 1914. Story has it that inspired by an all-white-wearing railroad ad fictional character, Phoebe Snow, Alexander tossed a bunch of beige-hued liquors together in a glass and the first Alexander was born. This is the sort of drink that honors a woman. In recent years, the Brandy Alexander has become less and less popular. It had a massive peak in the 70’s when it was seen in the 1962 movie The Days of Wine and Roses. If you’re a fan of Elizabeth Moss as Peggy Olson from Mad Men, you may remember when she’s a jittery, fledgling secretary-copywriter. She asks for a Brandy Alexander on a bad blind date in season one. Other than that, this is a drink of history that has somehow gotten stuck in the past.